Winter time introduces an entirely new variety of issues for car owners. The colder the temperature becomes, the more difficult it is for your engine to start functioning. 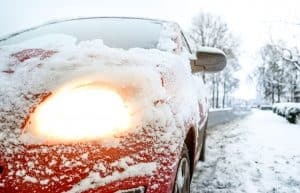 Metal, rubber, and liquids that are all essential to the startup of an engine become stiff, brittle, and even frozen during the winter months. This might not be an issue everywhere or even all the time, but when it does, it’s nice to know what to do about it. The first rule to remember here is that everything is capable of freezing. Just because it’s not water-based, doesn’t mean it won’t freeze. However, there is one exception: motor oil. It does not freeze (at natural temperatures) but it does start to thicken and ‘gel’ at sub-freezing temperatures. If you weren’t aware of what motor oil does for your car, it promotes a frictionless environment for your engine to run. This helps it to, well, not blow up. You can imagine what might happen if the oil intended to lubricate your engine gels up. I can tell you things don’t go well when this happens. Things break, expensive things break, expensive things that can ruin your car break. Nothing good happens when motor oil in your engine gels. 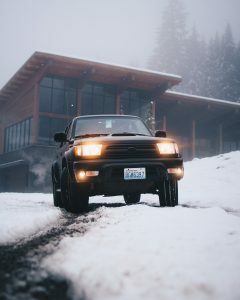 If you live in the states that reach those ungodly temperatures, you likely know how to get your car started in the morning. 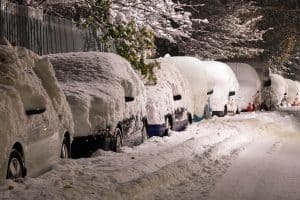 But those of us in sunny warm Arizona or Southern California, who shiver in 60o, usually have no idea what to do when the temperatures dip below freezing. In modern cars, fuel injection technology removes the need for cars to idle for that long. In temperatures above freezing, you likely can start driving your vehicle the second you start it. Although, in temperatures below freezing, its good to allow your car to idle for about a minute to let the oil warm back up. As I mentioned earlier, that oil in freezing temperatures is thick and almost gel-like. Letting it warm up before driving gives it a chance to lubricate the engine properly. If you would rather die than wait for your car to warm up for 60 seconds, there are other options. For starters park your car in a garage, better yet an insulated garage. If you do this, you won’t have to wait a single second before zoomin off to work. Another option is to get a magnetic oil pan warmer. This is a nifty device that attaches to your oil pan via magnet, plugs into the wall, and heats up your car’s oil while you get ready to leave. When you’re ready to go, unplug it and take off. Is the oil warmer a bit excessive? Probably for someone in Arizona, yeah. Is it really that terrible to wait 60 seconds for your car to idle before driving. Yes it is and you can’t make me. Just kidding, it’s 60 seconds, don’t be a weenie. This might not be anything new for people living back east, but we native to the west really don’t know how to handle the cold. Chip Repairs – What you need to know! We offer free mobile service to Prescott, Prescott Valley, Chino Valley, Paulden, Williams, Ash Fork, Mayer, Dewey, Cordes Lakes, Cordes Junction, Rimrock,Cornville, Camp Verde, Cottonwood, Jerome, Clarkdale, Sedona, WestSedona, The VillageofOakCreek, Seligman, Flagstaff, and all surrounding areas. We have in shop service available in Prescott Valley. © 2017 Adventure Autoglass. All Rights Reserved.